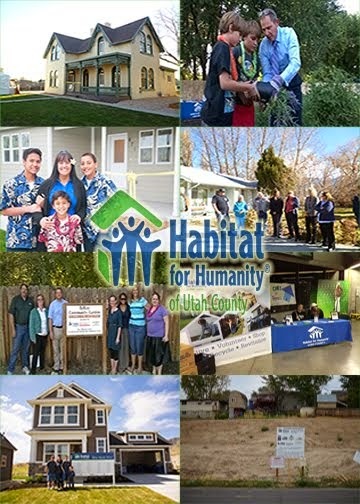 Habitat for Humanity of Utah County: FINALLY FINISHED! Provo Mayor John Curtis and many other community members celebrated with Mary Ann Cisneros and her family as they cut the ribbon on their new Habitat home at a ribbon cutting celebration this past Wednesday. The 3 bedroom, 2 bathroom home is Habitat's 43rd Utah Valley home and is located in Habitat's Brimhall Estates project on 300 South in Provo.